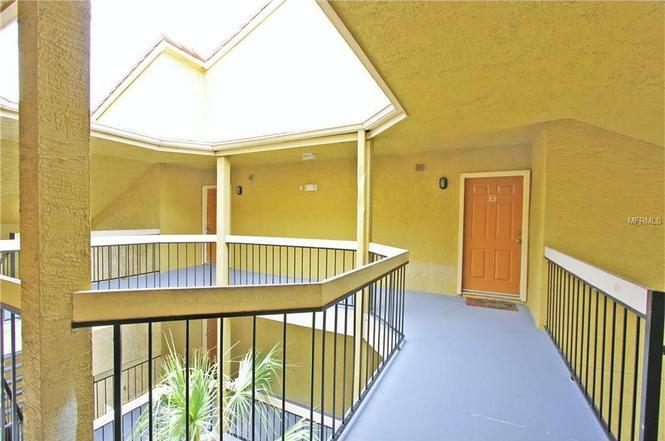 3-bedroom condo is located in a safe and nice gated community! This unit is a rare find. It is a very cozy and featuring 3 bedrooms and 3 full bathrooms on the 3rd Floor with vaulted ceilings. It is perfect for someone looking to make this their vacation home. We would love to have you and your family stay at our property!!! With a peaceful, water view, extra storage on the patio and it is located in a Gated community, Minutes to Walt Disney World and Downtown Disney. Minutes to major roadways making easy access to Sea World, Universal Studios, City Walk, Downtown Orlando and the Orlando International Airport. Unit has Balcony that overlooks community lake and is close to clubhouse and Pool. Kissimmee delivers the resort experience regardless of whether you’re staying for a weekend or a lifetime. Come and stay nearby Disney! One of the bedrooms has a queen size bed and another 2 bedrooms with a queen and a twin size beds each. The apartment is kept nice and clean. The community is in the most convenient neighborhood for a trip to Disney or other theme parks in Kissimmee. Private bedrooms, Living room, Bathrooms, Kitchen, Complex's facilities such as swimming pool and fitness center. The community is 5 mins from Old Town and Fun Spot. People love to go there beside Disney. The complex is also 2 mins from Ichiban Buffet - the best Asian Buffet restaurant in Kissimmee. You should check it out if you stay here ! Please communicate well before and during your stay. If anything I can make so you can have a good stay, let me know. You must also acknowledge must climb stairs. Gated community. Minutes to Walt Disney World and Downtown Disney. Covered front entry way and covered porch. Extra Storage room in the patio. Minutes to major roadways making easy access to Sea World, Universal Studios, City Walk, Downtown Orlando and the Orlando International Airport. Nesse mês passamos 12 dias maravilhosos em um apartamento no situado em Kissimmee. Gostamos muito da localidade que tem fácil acesso aos parques da Disney, Universal,outlets e sem contar com o Walmart que fica uns 10 minutos do local. O apartamento é excelente para quem gosta de cozinhar e não curte fast food pois a cozinha é toda equipada. Não tivemos problemas com a segurança, pois podíamos deixar nossos pertences e ir curtir o dia inteiro os passeios. Agradeço ao Carlson pelo seu apoio e indico à todos com segurança.